Today marks the 25th anniversary of the biggest upset in boxing history, and quite possibly the entire history of sports. Twenty-three year old “Iron” Mike came into the fight with an incredible record of 37-0, with all but four bouts ending by way of knockout – most in the early rounds. 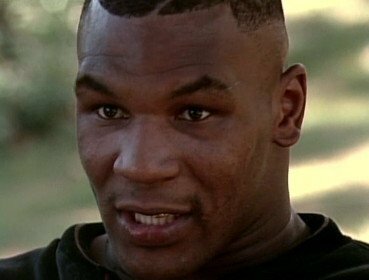 Along the way, Tyson had picked up the WBA, WBC and IBF heavyweight titles, making him the undisputed heavyweight champ and one of (if not the most) feared boxers in the history of the sport. His opponent James “Buster” Douglas came into the fight at the Tokyo Dome in Tokyo, Japan with a 29-4-1 record, and had been knocked out three times in prior bouts. Certainly everyone outside the camp of Douglas expected this fight to go how Tyson’s last 37 fights had gone and few press members even bothered to make the trip to Japan. Even Tyson’s corner men neglected to bring an enswell, not expecting the sort of swelling which Douglas’s punches caused around the eyes of Tyson. The rest is history – Douglas put up a tough fight from the start, got up off the canvas in the 9th, and put Tyson down with a wicked flurry in the 10th to take all the titles and etch himself into sports history. What are the biggest upsets in sports history? Maybe the American soccer team defeating England in the 1950 World Cup despite being 500-1 underdogs; James “Cinderella Man” Braddock defeating Max Baer; the “Miracle on Ice” when the USA defeated the Soviets in the 1980 Olympics; the New York Giants upsetting the undefeated season of the New England Patriots in Super Bowl XLII; Chelsea beating Bayern Munich in the Champions League; or when the Boston Red Sox won the World Series in 2004? For my money Douglas’ KO of Tyson ranks #1. What do you consider the biggest upset in sports?